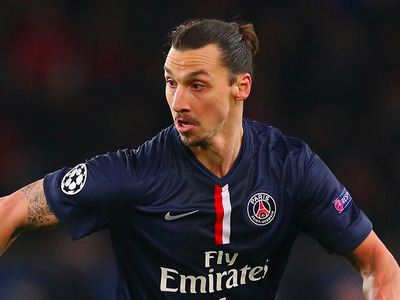 Alex Livesey/Getty ImagesZlatan Ibrahimovic, playing for PSG. His contract with the team is about to expire. Manchester United has agreed personal terms with Swedish striker Zlatan Ibrahimovic and is planning a medical for the player after Euro 2016, according to Sky Sports. A one-year contract between United and Ibrahimovic has been agreed between the club’s executive vice-chairman Ed Woodward and Ibrahimovic’s agent, Sky said, but negotiations overran — meaning the medical has to take place after the current Euro tournament. At 34, Ibrahimovic is older than the average major football signing, but pending an injury-free Euro 2016 he remains in excellent physical condition. Man United has to act fast as it isn’t the only club interested in the striker — new Bayern Munich manager Carlo Ancelotti reportedly wants to buy Ibrahimovic to replace the club’s own forward Robert Lewandowski, who may be moving to Real Madrid. Munich could prove tempting for Ibrahimovic. The team will enjoy Champions League action next season — unlike United, which finished fifth in the last Premier League and failed to qualify for the competition. Mourinho has been on a spending spree since becoming manager of United last month. Along with confirmed signing of Villarreal defender Eric Bailly for £30 million, the club also looks set to nab Italian star Marco Verratti for a record €100 million (£79.5 million). But Ibrahimovic would undoubtedly be the biggest coup for Mourinho’s new team. In his four years at Paris Saint-Germain he has scored 113 goals in 122 games, winning the Ligue 1 four times, and is considered one of the greatest strikers of his generation. He may also be one of the few footballers whose brash personality can match Mourinho’s — but their dynamic seems friendly enough for now.